Gov. 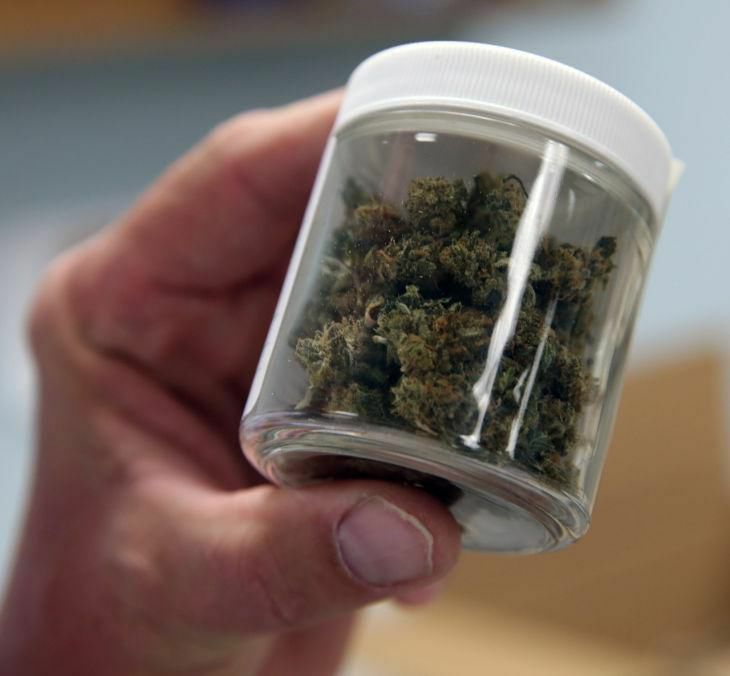 Phil Murphy announced July 16 that the state is requesting applications for six new medical marijuana dispensaries to add to the existing six operational dispensaries, including Compassionate Care Foundation in Egg Harbor Township. People with opioid-use disorder are now eligible to be treated with medical marijuana, but some addiction experts are in no rush to put it into practice. Gov. Phil Murphy last week approved opioid-use disorder as a condition that can be treated under the state’s expanding medical marijuana program, but some treatment providers are wary of incorporating a drug whose long-term medicinal benefits for addiction are not well documented. As more people die of opioid overdoses in New Jersey, state officials said they hope medical marijuana is one of several other things that treatment providers and medical experts can try to address the opioid epidemic. Health Commissioner Dr. Shereef Elnahal said in a statement that medical marijuana should be used alongside evidence-based medication–assisted treatments like methadone, Suboxone or Vivitrol to help people stop using heroin, fentantyl and other prescription opioids. Advocates of medical marijuana use for opioid addiction say the drug would be one of few medication therapies that is not part of the opioid family, as is the case with methadone and Suboxone. Researchers from the Washington University School of Medicine and University of Missouri–St. Louis said in a September paper published in “Cannabis and Cannabinoid Research” that cannabis may help ease opioid withdrawal symptoms and reduce opioid use for pain and overdose deaths. The researchers also conceded that the efficacy of medical cannabis by itself or in conjunction with current medication-assisted therapies “is not well characterized” and that more “high-quality clinical evidence is needed” to further support the use of marijuana for opioid-use disorder. Michael DeMarco, director of business development at Behavioral Crossroads, said he and his team acknowledge that medical marijuana could show promise in helping patients during the detoxification process, but the drug is still very controversial. The incorporation of medical marijuana would also be different for providers depending on the kinds of services they offer and how they are funded, DeMarco said. He sees a number of obstacles for publicly funded facilities or federally funded providers who likely have to abide by federal law, which prohibits the use of marijuana in any way. Providers who serve large populations of patients on Medicaid, a federal insurance program for low-income residents, may also find it difficult to get reimbursed for services and medication related to medical marijuana, experts said. The new addition to the state medical marijuana program may also impact county Recovery Court programs, in which residents undergo a strict schedule of drug tests, counseling and court appearances instead of jail time in pursuit of recovery. If participants test positive for marijuana, they are currently in violation of program rules. Pete McAleer, New Jersey Courts spokesman, said it is an issue they have to study in light of the governor’s announcement. Oberman said he remains open to new research and methods of addressing the opioid crisis, including the use of medical marijuana. Although he still subscribes to what he calls the “old-school approach,” which recommends that patients do no drugs, alcohol or other substances (not including medication-assisted treatments) while in treatment or recovery, Oberman said there are people out there doing well otherwise. Because of this, Oberman said John Brooks will soon stop screening for marijuana in compliance drug tests and evaluate patients individually on any use of the drug. A free screening of a new movie which portrays the struggle of drug addiction will take place Tuesday night in Mays Landing.